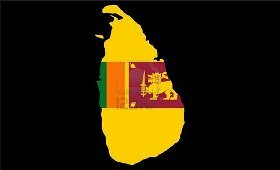 Sri Lanka and China on Friday signed a joint venture agreement to construct Sri Lanka's largest dendro power plant in the country's south. The power plant will produce 70,000 megawatts of renewable energy a year to the national power grid. The joint venture was signed between Beijing Full Dimension Power Tech Co Ltd, Nanjing Turbine and Electric Machinery Group Co Ltd and Sri Lanka's IMS Holdings, Xinhua news agency reported. Speaking at the ceremony, Jinawara Dharmawardana, Chairman of IMS Holdings, said dendro power was the generation of electricity from sustainably grown biomass (fuel wood) and in this project the fuel would be produced from the wood of the Gliricidia Sepium tree. Hundreds of farmers in the drought-prone Moneragala district will benefit from this project as the farmers supplying Gliricidia Sepium wood will make $3.2 million per year as a result of the power plant, Dharmawardana said. Explaining the reasons for choosing Gliricidia Sepium wood as the fuel rather than solar power to run the turbines in the power plant, Dharmawardana said the primary mission of the company was to financially secure the farmers in drought-prone areas of the island nation. Hu Xingzhong, chairman of the Beijing Full Dimension Power Tech Co Ltd, said the project was of "great significance" not only to the partners but also to the two countries. The power plant will consist of six biomass boilers and three steam turbine generators as the core of the power generation system. The dendro power plant is expected to start operation by the end of September.